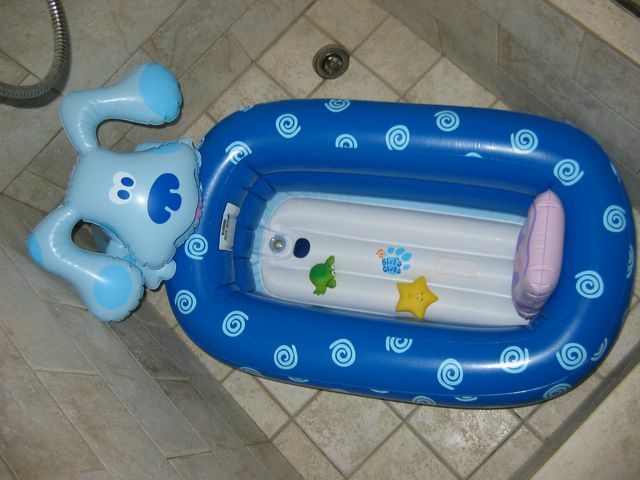 Got a brand new Bathtub today. It's an inflatable one, and it's nice and comfy. There's a blue doggie at one end of the tub to keep me company when I pom-pom. Now I REALLY look forward to my bathing sessions! Doggie Tub - So chio right? hee.